It’s not easy to detect at once what creature is featured in the photograph. 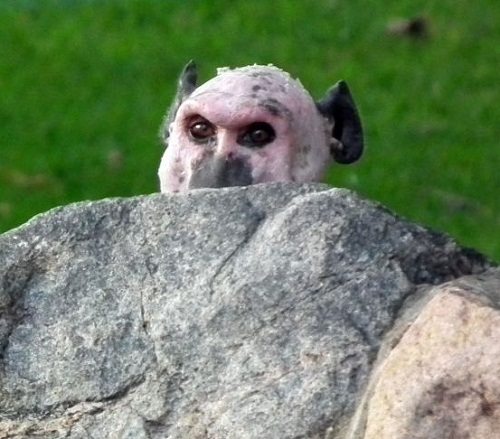 This totally bold female baboon was found in Kariba, Zimbabwe, Africa. 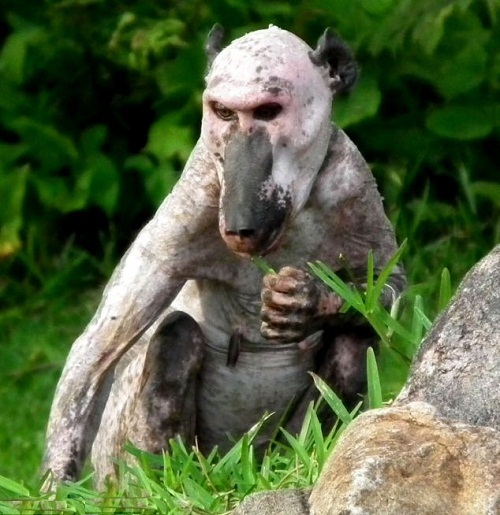 British housewife 65-year-old Ann Warner spotted this pitiful hairless baboon, all alone hiding in the bush, after being rejected by her troop. The poor animal doesn’t have any friends, she has to survive alone, searching for food. 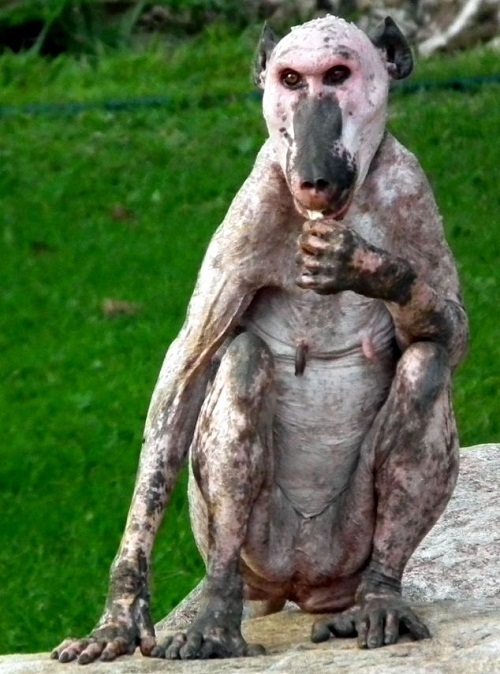 Apes lose their hair in rare cases of alopecia, like humans, but the cause of her baldness is unknown. 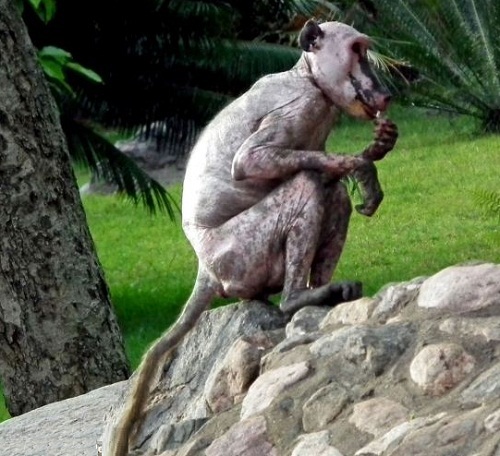 Monkeys and apes sometimes lose their hair in rare cases of alopecia just like humans, although because this hairless female was spotted in the wild the cause of her baldness is unknown.